A few months ago some friends and I had a zany idea. We thought, "Why don't we do a show about collectors" we wanted to tell their stories. we all have some video experience and love to tell stories so we said "Sure, why not." We jumped right in and began developing Collecting Nostalgia, as show that would be a web series that would indeed tell collector's stories. We needed a prototype to follow. I volunteered to be the subject for that first show, so that we could get it off the ground. It took a while to get it right but once we got over our bumps it started working and here it is. It is finished and ready for you guys to evaluate it. Give it a watch and let us know what you think. We have a few other collectors already lined up to participate in the show and we want to make sure theirs are perfect! What works? What could be better, give us your feedback! This week for the League the question is: When Michael Bay is done with the Ninja turtles Movie, what should franchise should he Blow up next? If bay continues to pilfer through my book of childhood favorites the top of my list would be Masters of the Universe, but I feel that is to obvious (although he is taking the big names so that one does make sense.) I think Bay should take a more subtle approach when he kills the next little part of my childhood. This is kind of a stream of consciousness. 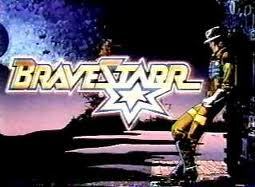 Bravestarr is the childhood gem that It think bay would "Make Better" I loved that cartoon. I have always been a fan of Space Westerns, and I think Bay could really manipulate good wholesome characters with this franchise. The whole movie would start with a planet exploding. Big explosions. Bravestar would escape. Bravestarr is a good lawman who is supposed to be native american but would probably be played by someone who is very Caucasian. He would be all about upholding justice to the book. He would be well built. He would have the mystic sides, but would also have a dark side. He has a problem with taking justice into his own hands, When he finds out that Tex Hex destroyed his planet he will be out for revenge, and the last scene will be like tombstone in space with laser guns blasting up buildings. Bay would finally somehow justify Bravestarr Killing Tex hex in cold blood. 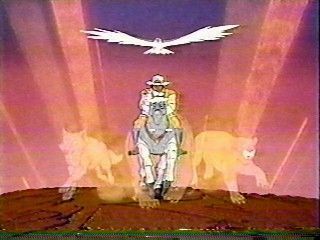 The Mysticism of the original show would still be there, but it would be toned down and probably not show up until the end when Bravestarr finds himself! 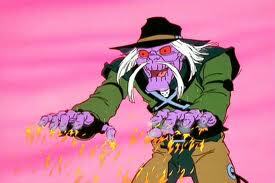 The Shaman, Bravestarr's native American spirit guide will of course encompass every stereotype you can imagine. The Prairie People (all CGI) will be shallow caricatures of hicks and backwoods people. Of course the characters will all be side lined for the action. Vehicles will be big set pieces. 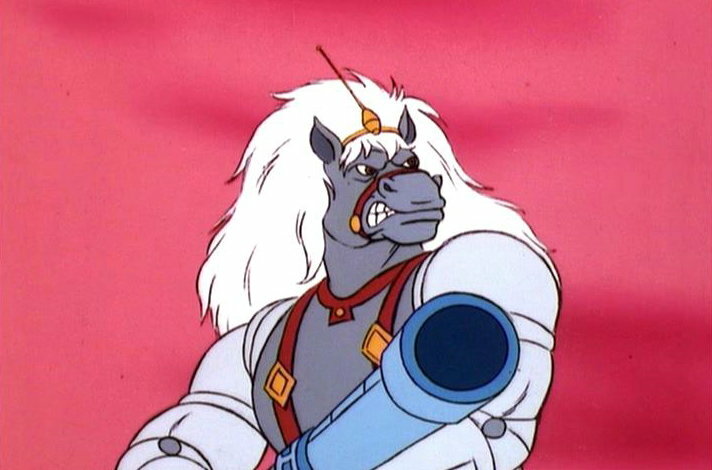 Of course, 30/30 Bravestarr's transforming robotic stead will be CGI but will be fun to look at. 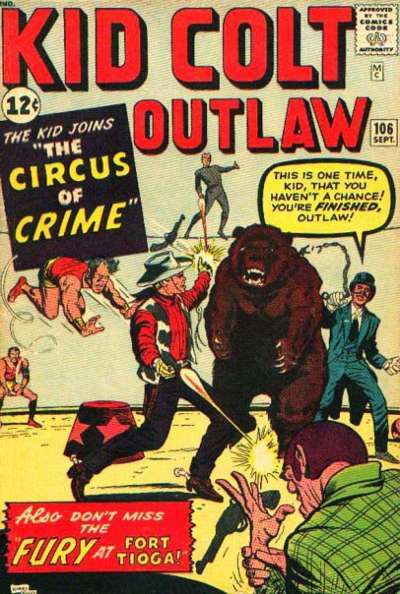 He will be wisecracking and have a rotten attitude, but in the end he will risk his life for Bravestarr. Judge McBride will be the love interest. A hot, young love interest for Bravestarr, but she will have to deal with his hotheadedness. The characters and story will just help guide us to the next blaster fight and special effect. the blaster fights will be fantastic! Everything will be fodder for blowing up. and in that last scene the whole of New Texas will be Bay's playground. Spaceships will crash, and people will be thrown into buildings. In the end Bravestarr will rise victorious and will help rebuild New Texas. The end of the movie will end with the hero glancing out over the city. A monolog voiced over the image, letting us know that he will not rest unless New Texas is safe. This serves two purposes 1) to let us know everything is safe, and 2) to let us know that there will be a sequel with even more explosions. Take a jaunt over to Cool & Collected to see what the league is all about. Stay tuned here and you will see some other league members posts! Jboypacman at Revenge from the Comic Arc thought Bay should do a remake of Breakin! Kevin at Team Hellions thought Bay should get into the Wrestling game! This week the goldmine that I have found is another documentary called "American Scary." The film is a look at the history of the horror host culture. There are interviews with such classic hosts such as Zacherly and Vampira. The Horror host culture hit close to where I live with the much loved, Dr Shock, in the Chattanooga area. Doc Shock has recently been revived in the area and has turned over quite a bit of respect locally. I was never properly indoctrinated with a horror host as I was growing up, but I did have Mystery Science theater which is in the tradition of the horror hosts. This movie really showcases some of the most classic hosts from around the country. From Texas, to Ohio (Ohio was and is a hotbed for these hosts!) to New York, "American Scary" presents them all and their story. The movie also includes several current hosts who are well known around the country, due to collaborations through the internet! Neil Gaiman even chimes in with his thoughts on the matter. This is another goldmine of a documentary if you are interested in pop culture, horror, or bad movies it is such an interesting culture to get involved with! Find this one if you can it is well worth the history lesson! 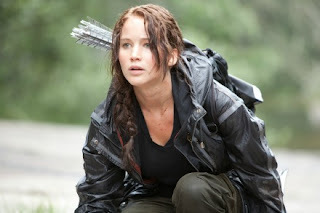 Thoughts on The Hunger Games! I'm going to break out of my nostalgic posts for a bit here and talk about something new. My wife has been really excited about the hunger games movie for some time so we went with some friends to see it this weekend. I have to admit to that horrible sin of not reading the book before seeing. To be honest the books did not appeal to me. I have never been a fan of those lottery to kill people stories. I went to the movie theater and sat back in the comfy theater seat ready to see a movie I wasn't to keen on seeing to begin with. The movie started and I have to say it was hard to watch. It jumps out of the gate with an art house feel, whith extremely shaky camera motions. I feared the whole movie would take this direction. fortunately art house closed and I was pleased to see that the camera movement was mostly used in the form of a story telling device, which did end up working nicely. There are some very interesting costumes in this movie. This is another way that they really shaped the word the viewer is immersing themselves in. They did it right. The costumes were very evocative for a very interesting world! The elements of this movie are all there! 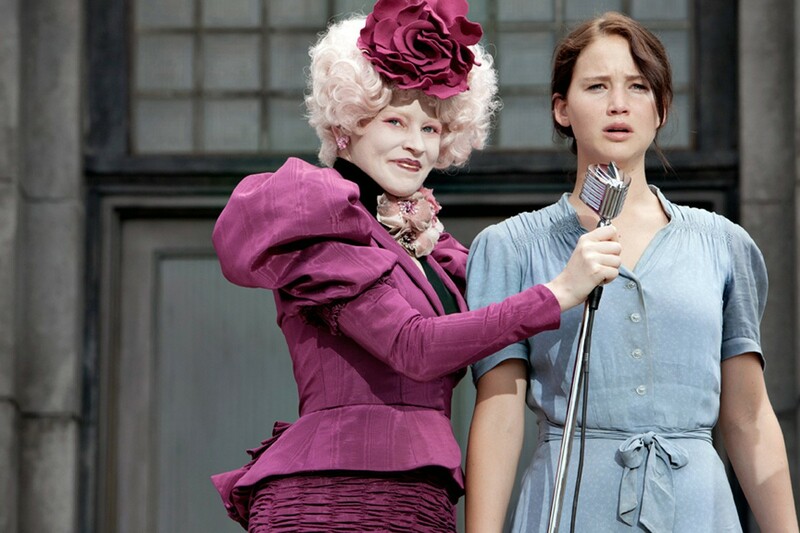 Everything from costume to camera movements were used to further the story and convey emotion. I usually don't catch on to those sorts of thing but it was done so well in this movie! For the most part I felt like the movie conveyed all of the important concepts to a non - reader very well. I did not feel lost, or feel that anything had been left out to the detriment of the story. Do I think the book is different or even better. . . probably, however I really appreciated the movie as a movie and now I will probably follow up with the books, just to be sure I didn't miss anything. The movie was cast very nicely. I really liked every actor in their part. I thought some of the actors were cast strangely, but in the end they filled their roles perfectly. 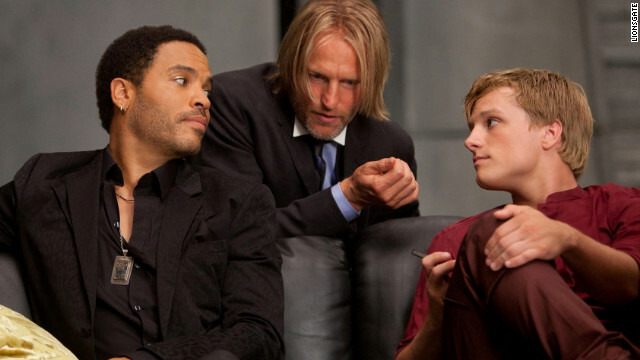 Actors like Woody Harrelson and Lenny Kravitz really made the movie stand out. A really outstanding cast! If you are debating on seeing this movie I say make your way to it! It's a great movie. It's a violent movie due to the subject matter, but a great movie! With the announcement that Michael Bay has gotten the rights to destroy another one of my childhood favorites, the Teenage Mutant Ninja Turtles, I thought I would contemplate a bit about that particular franchise and how I got involved with it. In the beginning I remember only hearing rumblings and seeing toy commercials. The buzz in the first or second grade was that these four teenage mutants were the next big thing in the toy aisle. I was still pretty happy with my Masters of the Universe stuff and all of the other toy lines that had dropped and intrigued me, but even I could feel a change in the wind. One Friday night my Aunt and Uncle took me and my cousin to a movie, and before hand took us to a toy store at the mall that the Movie theater was at. This is when I took the plunge. They got me Leonardo. and since that night he has been my favorite of the Turtles. 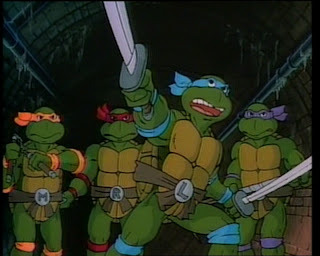 The turtles toys or the franchise in general has always took a back burner to Masters and some other lines, but it was always special eventually I did see the cartoon and it captures my imagination. The Technodrome, Baxter Stockman and Krang were just so different to my young mind that I loved it and soaked it all in. Like every other preteen boy I couldn't get enough. 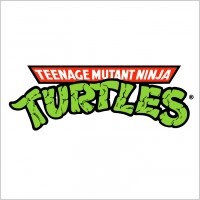 My affiliation with the turtles is very linear, in that I remember events along the way, the next event was going to Pizza Hut and playing the Arcade game. It was amazing! I had never experienced anything quite like it. It was like playing the cartoon! It was so much better than the ill-conceived Nintendo game. The Movie was the next big event I remember. Before the internet you heard about movies by going to other movies and watching trailers. I think it was the little Mermaid that my mom took me and my cousins to. 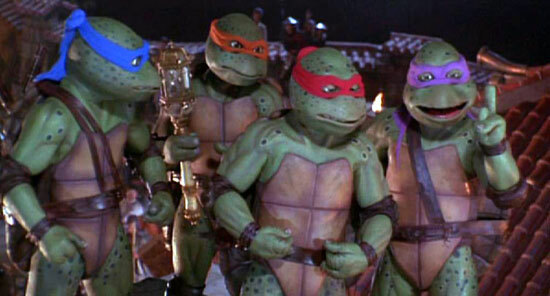 The trailer for the Ninja Turtles movie was on at the beginning. I glassed over. I was useless for the rest of the movie. I officially could not wait for the movie. I saw that movie a couple of times in the theater. It was a fun movie. 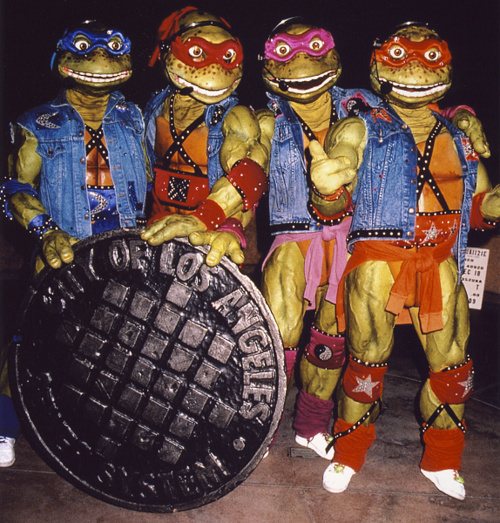 A little later there was the "Coming out of their shell" tour that came out from Pizza hut. I didn't see the show, but I did manage to get a hold of the Cassette, It was horrifically bad, but I thought it was awesome. The other movies came and left and the Cartoon began to drag on and on, and eventually even I lost the enthusiasm. But it was a fun time while it lasted. The Ninja Turtles will always be special to me and very real to me for their time! Do you have memories of The turtles! share them! Recently, while helping my parents relocate in order to have their house repaired came across something interesting, that strangely I had never seen in their house before. Stuffed away in a cabinet was "Souvenir Book" from the 82 World's Fair, which took place in Knoxville TN. I knew my parents had been to the fair. Heck, I knew I had been to the fair (there are pictures of me there) but I had never seen this book and for some reason I am intrigued by this pamphlet of self promotion. The book is little more than a book that showcases some pictures of the fair and tells a little bit about some of the exhibits. Of course it features the Sunsphere prominently throughout the publication. The Sunsphere being the centerpiece of the the Knoxville event. I went to school in Knoxville so this book has that meaning to me as well. Recently the city has put a lot of money into reviving worlds fair park and giving it a new life. The Sunspear is still the center piece of the area, and rightly so. It is an impressive piece of architecture and is a symbol, not only for Knoxville, but for all of Tennessee. This book connected me with the 80s and my childhood in a way I usually don't look for. I spend most of my time finding toys from the era or watching cartoons. Finding this let me jump out of my comfort zone a bit and look at the world of 82 in a way separated from my normal pop culture. I love the Super Powers toy line, I have loved it ever since those heady days of Saturday morning toy commercials where the kids would play with their toys as a booming voice would tell you to buy them to tell your story. Growing up I had three of these figures Superman, Batman, and Robin. That was it, no bad guys no other friends. I played with those hard. Now I have found some more of this line, and I am as fascinated with it now as I was then. Recently I acquired something that had been alluding me for far too long. I achieved transportation for Batman and Robin. The Batmobile from this line is perfectly inline with the rest of the the figures. Complete with Action features. The Toys sports a steering wheel and good solid wheels. I have been looking for a Batmobile in good shape for some time, so when I came across this one for a really good price I couldn't pass it up. It is a new jewel of my collection. This is another one of those toys that really take me back even though I didn't have it. It fits in perfectly with what I have now! It was nice to be able to put my Batman and Robin into their car. It was odd to finally have this piece that I have been wanting for so many years. Recently I have realized how much I have always really liked this toy line. Getting a character here or there, whenever I could come across one. This is the only vehicle I really cared for growing up. It was joy finally being able to add it to my shelf! Take a look at the commercial that I watched all those years ago! Do you have a toys that has gotten away from you for a long time that you have finally added to your collection. How did you feel? Here we are again for my Second attempt at the The League from Brian over at Cool and Collected. I had a great time last week participating and this week is no different! This week I wanted to jump out of my comfort zone, but in the end my gut instinct was just too strong to go with the familiar! This weeks league assignment is as follows: Which TV or movie hero do you want beside you when the zombie apocalypse arrives. This will end up coming out one part Answer to the weekly question and one part anthem to my childhood hero! There are a few answers to this question but I feel the obvious one is still the best. 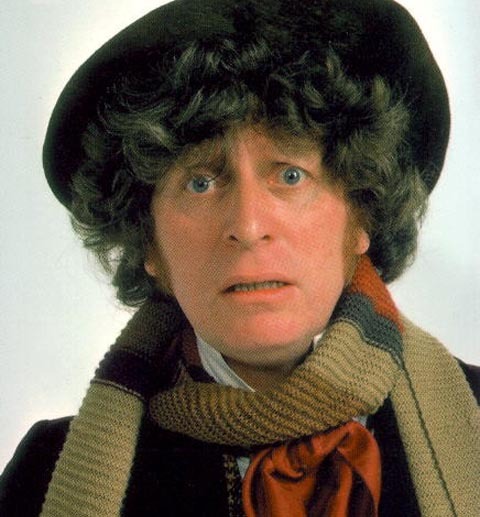 My Gut tells me to go with my childhood hero, the Doctor, from Doctor Who. Any incarnation would make me feel safe. Somewhere deep down you know that you will be safe, that the zombie plot is something that a menacing alien race has bestowed on the earth simply to draw out the Doctor. But what the Alien Race doesn’t know is that the Doctor is playing a long game, and they and the zombies are simply a pawn in that game. The Doctor is the eye of the storm if he means to be or not, and you are always safest within the eye of the storm. The doctor tends to be anti violence, or at least always uses it as a last resort, so he would not be too good at killing the actual zombies. . . at least with weapons. When he finally throws that switch that does kill one out of necessity he will face it and honestly say “I’m sorry, I’m so sorry, (you never want to be on the receiving end of that statement!) At the end of the day he will, however, outwit the monsters or the monsters behind the monsters, by waving his sonic screwdriver around and getting us through that last door. 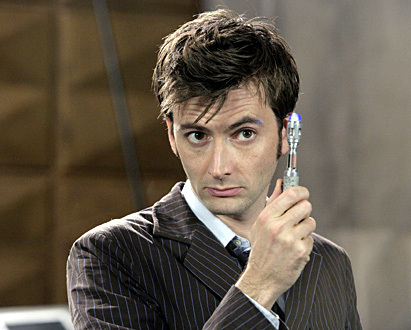 Of course he has the aforementioned sonic screwdriver and any number of other gadgets in his Pockets (which always seem to have exactly what he needs.) He also has the TARDIS his magnificent box of tricks, which, he has probably been separated from, so we can not use that magical box as a point of refuge. 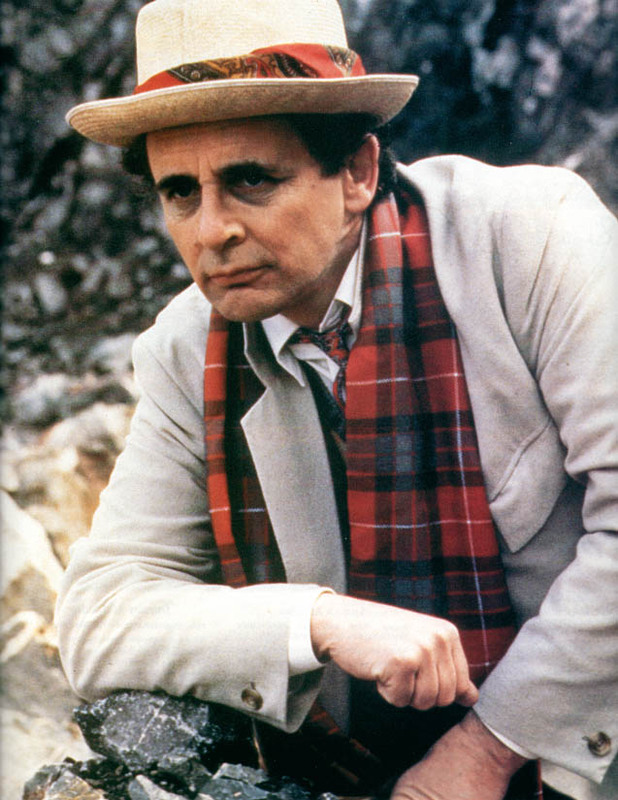 In the end The Doctor is the TV hero I would feel safest putting my faith in during the event of a zombie Apocalypse. Be sure to check out Cool And Collected and the other bloggers who participate in the League There are some great bloggers participating and they will have much better answers than mine! I will be adding some more of the posts here as they post them up! Joyboypacman at Revenge from the Cosmic Arc decided Cherry Darling would be the best choice! Chris Tupa, decided that it would have to be MacGyver or Mister T.
Brian at Cool and collected thinks Blain from Predator is the best choice. Sometimes you stumble upon gold on Netflix. When I do I like to tell people about it. This week I have found a documentary call "The Rock-afire Explosion." This movie takes a look at Showbiz Pizza, which was a very kid friendly franchise in the 80s. Beyond the restaurant the film takes a look at the animatronic band, "The Rock-afire Explosion. This band made up of different animals, was always fund for me as a kid. The commercials for Showbiz made a lot of use out of showing the electronic band. 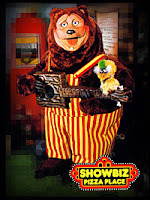 I only remember going to showbiz Pizza one time in my childhood. For me the band was a bit of a disappointment. As I recall as a 8 or so year old I was, I was much more interested in playing the video games. I was also disappointed in the band because it didn't look as cool as it did on the TV screen in the commercials. If memory serves there were bits and bobs that didn't seem to work all that well. Of course, there are others who have much more fond memories of Showbiz and the Rock-afire Explosion, and these guys are represented in this documentary. Some of them like it so much that they have one of the bands in themselves. They even program them to sing modern songs. 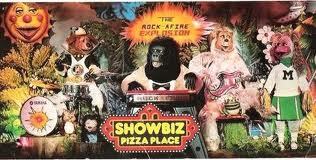 The Story of Showbiz, the band and the merger with Chuck E Cheese is one that effected many people. Of course the Fans were effected by it because they no longer got to experience the thing they loved, but there was a company that created these animatronic joy makers. Creative Engineering was a company owned and operated by Aaron Fechter, employed hundreds of engineers, sculpters, programmers, Costume makers, and much more. Today the building that all of these shows were created in stand just as they did when each of these employees were fired or layed off, because Aaron could no longer afford them once Showbiz parted ways with them. The documentary tells a very interesting story that will hit home for anyone who grew up in the 80s going to to showbiz, or even just seeing the commercials on TV! If you get a chance dig up this goldmine on netflix, it will be worth your time! 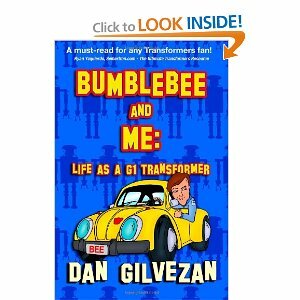 A few months ago I was making my rounds on some of the blogs I follow and on battlegrip I found reference to this book "Bumblebee and Me" by Dan Gilvenzan. Recently I picked it up and have had the chance to read it. If you are a kid from the 80s Dan Gilvezan is probably familiar to you if not by name, then by voice. 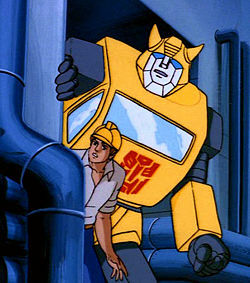 He was the voice of Peter Parker and Spiderman in "Spiderman and his Amazing friends," and more notably the voice of bumblebee from Transformers! The book is pretty short but was a very good read. Dan runs you through the process of voice acting and relays some great antidotes about his fellow actors. He really digs deep and has many fond memories about the show as well as the character he played. One story that he tells is about how he went into a Toys R us and bought a dozen bumblebee figures because he felt a sort of kinship with the character. He talks about working with people like the Scatman, and Frank Welker, and Voice Director Wally Burr. The book really lets you, the reader, in on the process of voice acting. As I mentioned the book is pretty short with the nutritive portion weighing in at a whopping 52 pages. Dan is to the point and tells the story he wants to tell. There are spelling errors and some of it feels awkward to read, and it feels like it could have used a bit more editing. All that said the book still tells a story, and Dan really puts his antidotes out there for fans to have. It feels like it is a collection of the stories he tells at cons put in a narrative form. I like that, I may not ever get to see him at a con but I can still get his side of the story with this book. You can find the book at Amazon for under $7.00, and it also available as a kindle edition for 2.99. If you are a fan of 80s cartoons, voice acting or transformers I would highly recommend that you pick this book up! Last November I set up as a vendor for the first time at a toy show! 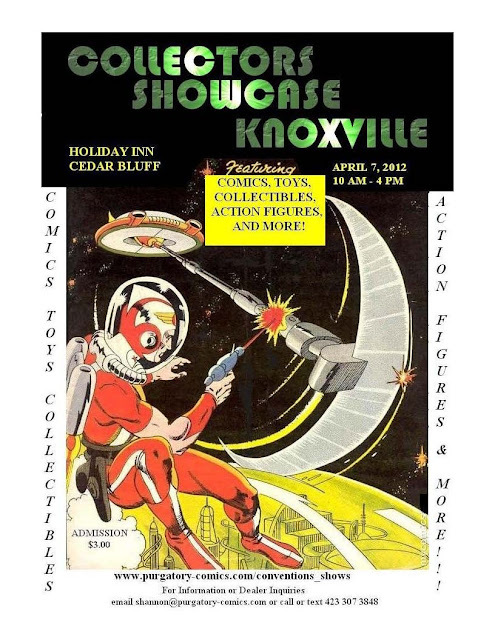 I'll be setting up atr my second show on April 7th in Knoxville. I am excited about this show. Its in a good location and it should be a lot of fun! If you are in the area and able to make it, drop by my tables and say hi! Saturday mornings used to be a time that was a weekly holiday for kids around the united states. Saturday mornings were made for kids to rouse out of bed in their footy pajamas, find a bowl of cereal and most importantly watch cartoons. 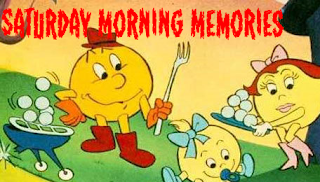 I have very fond memories of getting up early, winding my way into the living room turning the over-sized knobs on the TV, and settling into my dads arm chair. There were all kinds of cartoons that would permeate the network. The Snorks, Pac-man, Mr. T, and some of my favorites Spiderman and his amazing friends and The Super Powers Team: The Galactic Guardians (the latest iteration of the super friends.) Within these shows were the other main attraction, The Commercials. The toy commercials of the era was the best way to inform the kids of the time about what they would find on the toy shelves. They fun and colorful and action packed. They usually told a story with the figures, and showed them being played with by kids. All of these things made for a fun beginning to another Saturday and was a great way to kick off the weekend. As I breeze through the TV channels now on Saturdays I am confused by the lack of the good creative programming that I had the opportunity to watch when I was growing up. It disappoints me that this up and coming generation will not be able to share the meaning of what Saturday morning is truly about. When I was a kid I had the Marvel Secret Wars Spiderman. Until much later that was the only figure of the line that I had. I loved that figure! I played with it hard. I wasn't even a big spider man fan but the toy was so much fun to play with. This figure really sparked my love for the whole line, which is now one of my biggest collections. In the midst of that collection though still stands MY Spiderman. The one that I swung from pieces of thread as a child. He has remarkably stood up very well. Many times when you see figures from this line they have a lot of paint ware, mine just has a little ware on the feet and eyes, but that is it. It is a striking figure, even now. The simplicity of the figure is what I love. I pretty much judge all 3 - 4 inch figures on that Spiderman (and the rest of the Secret wars Line) I don't feel a need for high articulation, I just want a toy to capture my imagination, feel good in my hand, and be fun. This Spiderman did that! Just recently got this. 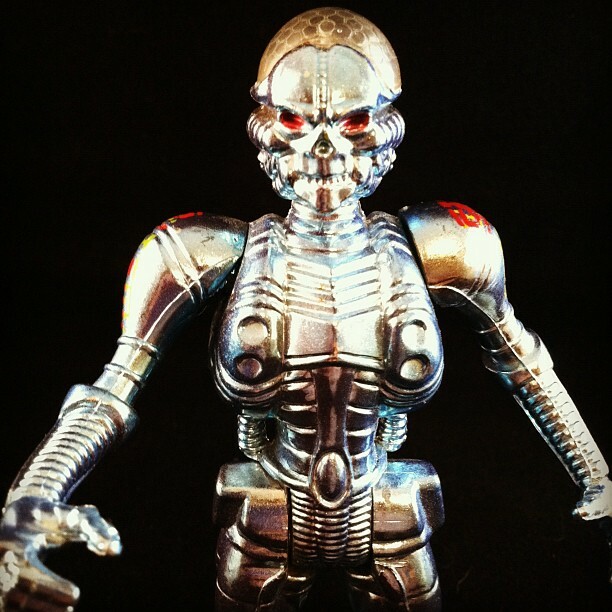 This is one of my favorite toy designs ever! TV shows sometime get lost in the recesses of your brain, but for me, the shows that I watched as a child stay with me. No matter how deep down in the old noggin I have to reach I can usually find memories right down to dialog. One of those shows I have revisited a few times is Eerie Indiana. I loved this show. For me it is one of the few gems from early nineties TV, especially speaking live action shows that were geared to kids. It captured my imagination, by creating a very real setting and having, for the most part, likable characters. I am once again taking the trip to Eerie and I feel the same. The stories are still very watchable. Watching the show now I realize things my 12 year old self didn't realize. Number one, is that this was a great take on the twilight zone, Night Gallery and all of the other Shows about weirdness. Putting the characters of Marshall and Simon into these situations was great. We got to see the weirdness through their eyes. Eerie, Indiana, to me, also represented something else to my young self. It was the first time I really thought about the paranormal and strange things that happen and people kind of turn a blind eye toward. Sure, the stuff in the show was exaggerated and cartoonified a bit, but it was still there. I'm not saying I beioeve in the paranormal etc. . . but it made me look at my neighbors a bit differently! One episode that struck me then, and still strikes me now was an episode about an angry tornado called old Bob, and a Meteorologist who has a vendetta against him. That episode really got me a s a kid. Not for any reason, really, it just struck a chord with me. More recently, though, it does hit home. After the recent tornadoes that hit my home town, it makes it easier to kind of give a tornado a persona. In the episode they let you hear the "Voice" of the tornado, and it is creepy, and strangely exactly how I would imagine a tornado sounding like. The show went on for 19 episodes and began to wander at the end with the introduction of the character of Dash - X a homeless kid with gray hair who has mysterious origins. The Character works. and is a fun addition. 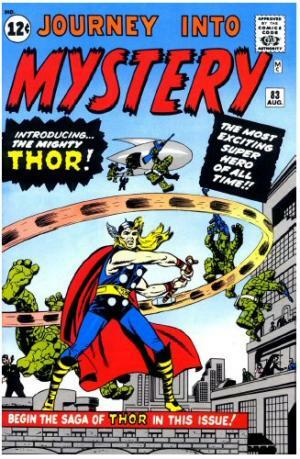 He does add to the mystique of the setting, but the story kind of drags at that point, as we never get any real closure to his story when the series ends. 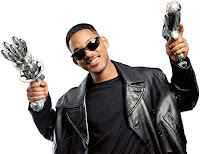 There was a spin off series made in 1998 when there was a resurgence in the popularity of the show due to reruns playing. 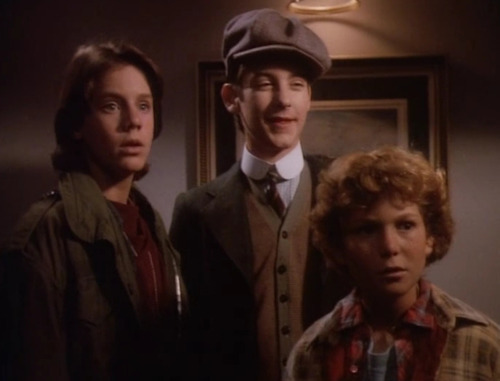 the new show was called Eerie, Indiana: The other Dimension. It had new actors playing the archetypal parts in a different reality of eerie. there was even a section where the originals made an appearance on the first episode! That show never peaked my interest much, but the original is still a classic to me! 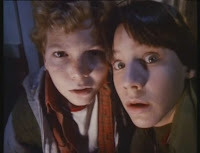 Toby Maguire, who would later become spider man, made an appearance on Eerie Indiana and a heartbroken ghost. Do you guys remember Eerie Indiana fondly? do you have other shows you remember that you still think are good? Let us know in the comments! I am going to try my hand at the latest assignment from the League of Extraordinary Bloggers, which is to create a super cast for a movie. I am going to try. Let me preface this with the disclaimer, that people rarely agree with me about such things but I am trying to think outside of my box. . . Kind of! As, I have written about on this blog before, I love Space Opera. The Space Epic movie is an art form that, in my opinion, is all but lost. This is the kind of movie I am going to attempt to cast. An epic sweeping space opera. First I will talk a little bit about my thought process here. I started this process by thinking about some modern sci-fi, superhero and fantasy actors that I felt could fill the niche rolls needed in a space epic. Now it will become apparent that the niche rolls are going to resemble those rolls of Star Wars. Temember Star Wars, for the most part, was filling niche rolls! The Hero : Elijah Wood. Elijah filled this roll in lord of the rings very well, but he was surrounded by other people being the hero as well, I think he would fill the hero that goes full circle in a way that would make Joseph Campbell very proud. He has the look of a hero with wonderlust, which in a way would be a different kind of Charcter than his Frodo was, at first, reluctant. This character would yearn to leave, and I believe Elijah has what it takes. The Scoundrel needs to have a journey someone that doesn’t want to be trusted but every one knows he can! Hugh has pulled this off before with Wolverine. 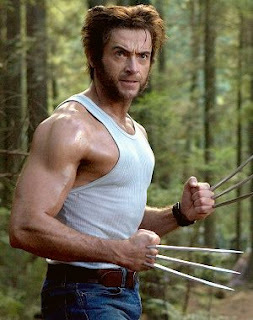 I think Hugh would make a very good companion for Elijah as the hero. He could easily take on the roll of the big brother that means well but tends to think either about reward - or perhaps what a princess has to offer. This one may be a bit out there, but I think in a movie of this sort you need humor, and when Will smith gets it right he gets it right. The subtle humor that he can portray is great. He would be perfect for a quirky pilot who was always fixing and hitting his ship. Perhaps even a Captain. . . of a ship. Though I typically am not a huge fan of the rick he plays this roll very well, for the kind of movie I am thinking of I can think of no one else. OK so this is coming from the Nerd Vote here. Not a huge screen actress she would bring a crowd to this kind of movie. and at the same time would love doing it. I think she would also be able to bring some humor into this! OK, at this point you are thinking I am just pulling people from Lord of the Rings and the X-Men. Don’t worry . . . it gets worse. 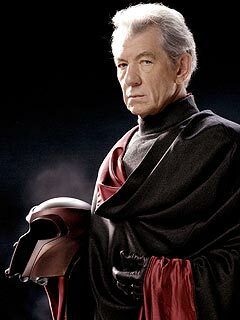 I want to see Sir Ian be the big menacing bad guy in this story. The one that you rarely see but is menacing. his name makes you fear, and when you do see him on screen you, the viewer is scared. I know this is a far cry from other rolls we have seen him in, but I think he could do it! Often time the lackeys are equaling as menacing as the big bad. Tom, really showed his acting abilities in his portrayal of Loki in “Thor.” There was always thought, and calculation behind his eyes. Every move he made on screen was calculated, both by the character, but also as tom, as an actor. He would be a lacky that had higher desires. I have no reason to believe Karen can play a villain, but I had to include a Who actor in here somewhere and I think she would be a great foil for Felicia Day. being able to wave the jealousy card around for who ever the felicia Day character Percieves as her love interest. Having played Worf on Star Trek the Next Generation, I think Michael could play the tired old military man very well. He is an important official who has seen enough action and is still in control! There is no one better at this, unless of course we went with the Muppet Factory and in that case I would be remiss not to include . . . There are several other people that would probably need to be in this list as well, but I think I have fleshed out the main characters. Although I am still trying to fit Nathan Fillion into this line up. Lots of other niche rolls to fill though, so I am sure there would be a place for him. As I said earlier this is not the kind of thing I typically think about, but it got me thinking and I have really enjoyed playing with this in my head! Enjoy, let me know your thoughts. Who would you pick to cast in a space epic? Ioc from That Figures finds an epic cast for a Community Movie! League founder Brian over at Cool and Collected casts and plots his ultimate Western. Kevin at Team Hellions presents a fantastic cast for an all female action movie! 2012 is shaping up with Monsters Podcasts and Cons! In the last post I wrote on this blog I talked about doing a lot of projects. Well Here we are in March and . . . I actually have been working on a lot of projects. That is actually the reason I have not been posting here at this blog, which is unfortunate and I am going to try to remedy this! For now though, let me talk a bit about what has happened over the last few months, and possible it will all make more sense! At some point after my last post I contacted some people I had been talking about working with for some time to start working on some projects. We started talking and things began to blossom, and New Monster was kind of reborn out of a desire to create and having no real outlet. We have been making videos and doing some fun stuff with our projects. The neatest thing about the projects is that they riff on things I have been talking about for a long time. Toys, and video, and games and the 80s. Its been a blast and a whirl wind. I really enjoy getting in and doing the nitty gritty of production work. It takes me back to my school days when I was on deadlines and wanted to create something that was meaningful. More importantly than all of that though, is the fact that I have been doing stuff with ideas that often fall on deaf paper! With New Monster we have been putting a lot of effort into a project called Collecting Nostalgia. the basic idea is that we spend some with and profile collectors and let them tell their story. It has been fun. At the moment we are still elbow deep in the editing process. Shortly after New Monster got back off the ground I was approached by my friend Josh Wilson about participating in a new Doctor who podcast, about Doctor Who spin off media such as novels and audio. 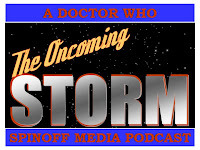 It is called "The Oncoming Storm" It has been a lot of fun getting back into Doctor Who in a fun way that is a little different and takes my mind off some of the newer stuff that I don't like as much! 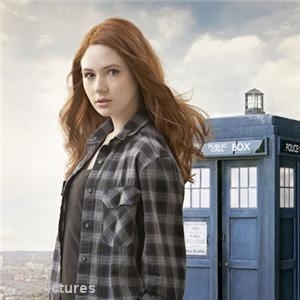 This has been a lot of fun because I get back into the swing of things with Doctor Who just in time for Timegate. Of course that brings me to Timegate. Timegate is the project I already had going. For the last two years I have been programming co-director of Timegate for the Doctor Who portal. this has been a joy to work on with My friends Alan, Martin, George, and Denise! it has been a lot of fun, and I look forward to another great year this year. With all of these new things and a few more things coming up the pike I am excited about the rest of this year and where I will be after this! This year has already been a whirlwind for me. and I don't anticipate it changing, but I do want to take some time out to participate in this blog more than I have been! So let me know what you have been up to this year! I would like to see what kinds of projects people have set for themselves. 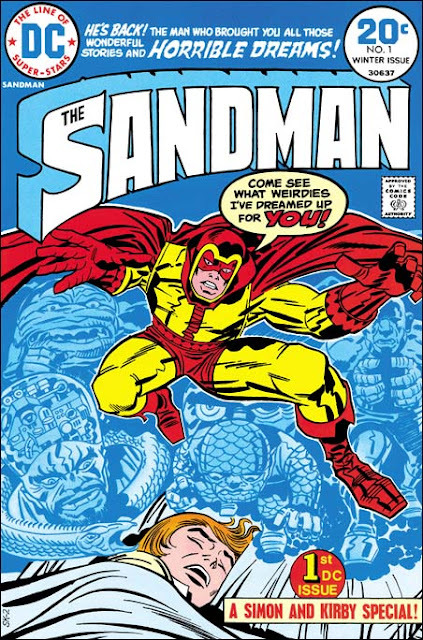 also I want to get back to the roots of this blog and start talking about fandom and comics, and toys, and tv again, so what do you want to hear about. I hope to have some new features coming soon!